But the real story is much more bizarre and tragic. 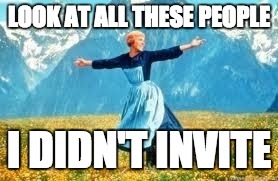 I don’t like to tell it often at parties because it tends to bring down the mood of any birthday party I do. I started as a CIA analyst out of college back in 1986. I was stationed with a group of US Naval officers to take possession of a cutting-edge nuclear submarine. It was touch-and-go, but the CIA had me there to help the Navy sub we were riding on avoid any violent confrontation. But, as we closed in on the sub, we realized that was no longer an option. A Soviet Ambassador had learned of our plans via the Soviet Sub’s reconnosence and the US government declared us renegades, although we were fully functioning on their orders. We had been abandoned by our own government. Thinking quickly, we staged a nuclear reactor emergency and ordered our crew to abandon ship. This would send the Soviets flying in the other direction. But miles under water, how would we rise to the surfaced fast enough? Luck for us, there had been a clown stowaway on board. With his help, I thought quickly once again and began to twist balloon life-rafts with enough air to float our crew safety up to the surface. But after the longest 45 minutes of my life, we had created a balloon large enough for our entire crew to climb into, rose to the surface, and sailed straight to Maine. Thats (mostly) the plot to The Hunt for Red October. I tried balloon twisting once for my son’s PTA fundraiser and just really liked it. Now it’s my part-time job. It’s the most wonderful time of the year! (For teachers, anyway. Right?) The back-to-school season is in full swing. Whether you’re a teacher looking for fun classroom decorations and activities, or a sorority looking for fun rush ideas, Pop Art Balloon Twisting is here to help with these fun back-to-school ideas! 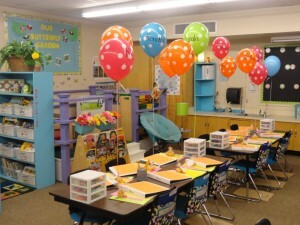 If you’re a teacher looking to make your classroom more fun, try attaching a balloon to each student’s desk to help them find their spot more easily. It will not only serve as a sort of welcome gift for your students, but give your classroom a much more colorful and approachable look (which is especially helpful for younger students). Maybe you’re an art teacher, or need an activity to keep kids occupied for arts and crafts. 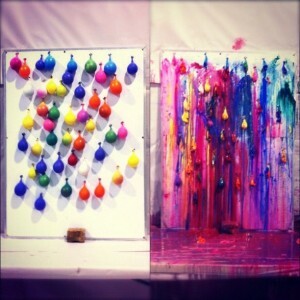 Try filling balloons with paint and having kids pop them over a canvas to make abstract art – this isn’t just for Mia Thermopolis and her mom in the Princess Diaries! Tape the letters of your sorority onto a board, and fill the balloon with paint specifically in your sorority’s colors! You could incorporate the activity into rush week as a fun way to not only make art for your house, but get to know potential new members! Although the end of the school is incredibly far away, you can still use balloons as a fun way of counting down any special event – a holiday, and special day at school, a carnival, whatever! 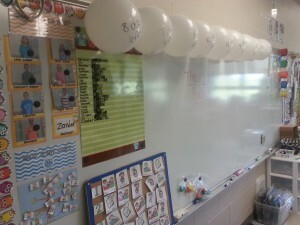 Simply blow up the balloons, write the numbers for each day on them, and hang them up anywhere in your classroom. Make it incentive for your kids to behave well – their reward is getting to pop a balloon at the end of the day. 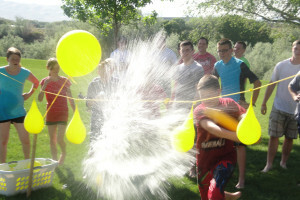 You can use balloons as part of a fun science experiment with students! Have students fill a water bottle about 1/3 of the way with vinegar, and and fill a balloon with baking soda. Then attach the opening of the balloon to the top of the bottle, being careful not to spill any baking soda into the bottle. When your students are ready, lift the balloon, allowing the baking soda to mix with the vinegar, and watch the balloon expand as the gas fills it. You can discuss with students how the combination of baking soda and vinegar creates carbon dioxide, which blows up the balloon! Matt brought us to his last-minute Westport birthday party after meeting us the weekend before. Was he just as happy with his party? Happy Monday! Thanks again for helping us so last-minute. I was soooo disappointed when our original clown canceled, but everything worked out great! I’m actually glad we didn’t end up with the clown! 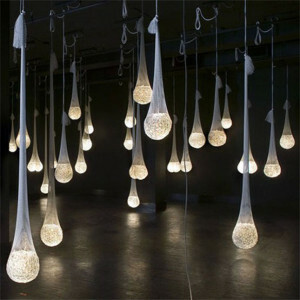 I’ve never seen balloons like this before! You should know that Krissy still has her dolphin from Amber’s birthday [the weekend before] and her octopus has joined the dolphin in her pile of stuffed animals. WE WILL see you at our Christmas party this year! It’s the most wonderful time of the year for kids (well, besides Christmas). School’s out, the sun is shining, and they’re free from teachers and homework for a good three or so months. Everything is perfect. Until that inevitable day when your child, sick of sitting on the couch watching TV or playing video games, proclaims, “I’m bored!” So without further ado, here are some fun ideas to keep your children entertained this summer, no matter what the weather, no technology needed. Fill up a bunch of water balloons and use them like you would a piñata. 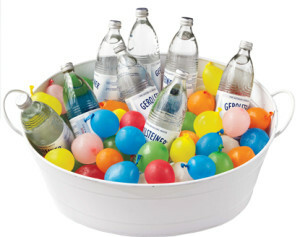 Instead of candy, your kids will be showered with refreshing water! 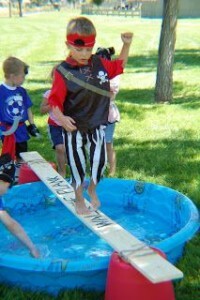 Instead of playing limbo with a traditional meter stick, use a hose! 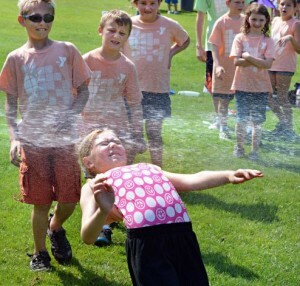 Your kids will enjoy this simple competition and definitely cool off in the process. The bigger the better, right? 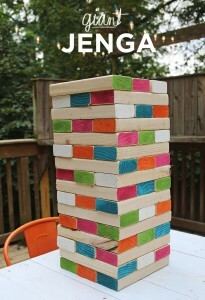 All you need for this is a bunch of cheap blocks of wood from a hardware store, and, if you’re feeling crafty, some bright colored paint to paint the ends of the wood. Let the fun begin! 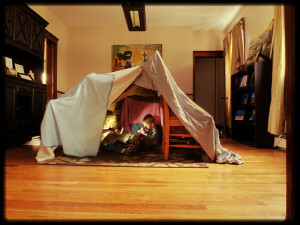 Give your kids some old blankets, pillows, and flashlight — their imaginations should do the rest. Tie a bunch of string across the room, obstacle course style, and have your kids try to climb through it without touching any of the string. They’ll feel like they’re starring in their own action movie! 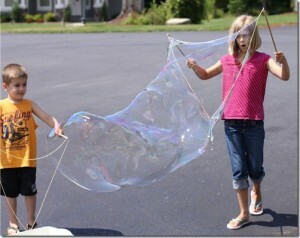 Kids love bubbles, so why not make GIANT bubbles? 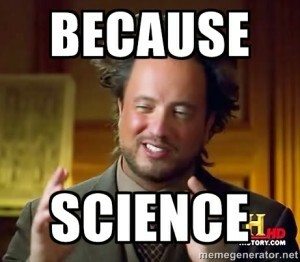 To make the bubble solution, mix 1 liter of hot water, 1 cup of soap, and a few tablespoons of glycerin. 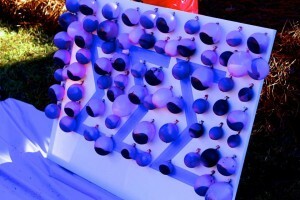 You just need straws and string to actually form the bubbles (see how here). This will provide your kids with hours of entertainment. You don’t have to be Michael and Jane from Mary Poppins — either make your own kite out of just paper, 2 wooden sticks, and streamers, or buy one from the store. 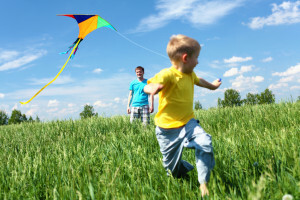 Kites are a great traditional activity to get kids outside even on a windy day. This one’s easy. 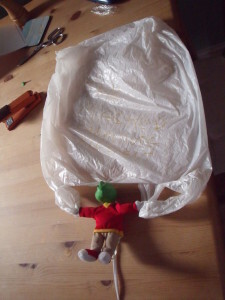 Have your kids use plastic bags and tie them to the hands of some stuffed animals. Stand from a high point, such as a deck or jungle gym at a park — but be careful! 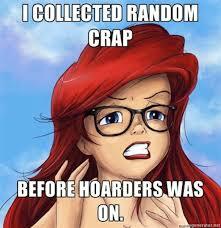 Then they can let the stuffed animals go and see how far they fly. Solution: Try to constrain the list to a specific friend group (for example, your child’s playground group or classroom friends). If someone important is left out, try arranging a play date for special outing with that friend instead, so they still get to spend some time together without creating an overwhelming or unmanageable party size. 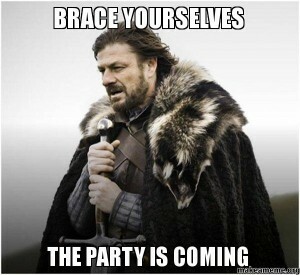 Solution: If the birthday party is at your house, lock the doors (if possible) to rooms you want to be off-limits. However, if this isn’t an option, create a fun way to direct traffic into the rooms you do want kids in. For example, use streamers, balloons (or even caution tape if, say, your boys are into Bob the Builder) to cover doorways and guide guests into the party zone. Also try to enlist some other parents to hold down the fort with you — one mom vs. twenty kids can get out of hand pretty fast! Solution: Give your kid a sort of pre-party pep-talk before the party. Let her know that intermingling with other kids isn’t scary, and it can actually be fun! She doesn’t have to be the loudest, or BFFs with everyone, but it shouldn’t feel like the birthday party is being forced upon her either. Solution: instead of filling the birthday goodie bags with cheapo plastic toys that kids will most likely never use, try investing in just one quality gift that fits in well with the theme of the party, and is equal to the price of all those useless gizmos and gadgets. If your boy is having a Lego-themed party, give each kid a small set of Legos. If your girl is having a tropical themed party, maybe use tropical-print bucket hats (those are so in right now anyway) as a favor. 4 letters: R-S-V-P. Make sure to make it very clear in your invitations that guests must RSVP to the party — you don’t want to plan for cake for 10 kids and then have 20 show up. If some children or their parents never respond, don’t assume it’s a no — contact them a few days before the party to confirm whether or not their child is coming. Another rule of thumb is err on the side of more, just in case. Though this may be more difficult if your party is in a space where you must pay a certain fee per child, try to find an accommodating venue or entertainment company (not to toot our own horn here at Pop Art or anything) that can offer group rates. Solution: Before you even begin planning what food to serve at the party, ask your guest to mention any food allergies when they RSVP, and make sure to read all food labels accordingly. If your kid has his heart set on peanut butter cookies, but his best friend has a peanut allergy, offer to make peanut butter cookies for him another time. Your guests’ safety is just as important as having fun at the party. 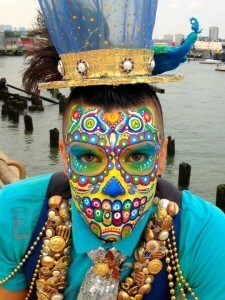 Today though, children of all ages are displaying face painted sugar skulls left and right. 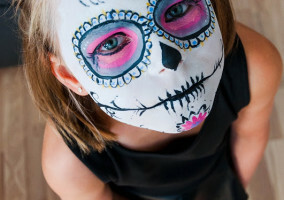 They are a very easy last-minute costume idea, as they only require, at minimum, two colors of face paint and a bit of practice, depending on how intricate your design is. 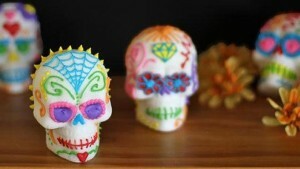 Check out this sugar skull tutorial here: https://happythought.co.uk/day-of-the-dead/skull-face-paint-tutorial. 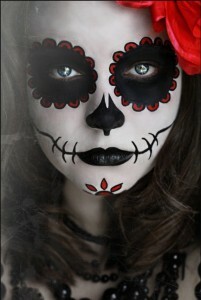 They give your costume a very fun and mysterious feeling — it’s not exactly easy to identify someone in several layers of full face paint, after all. 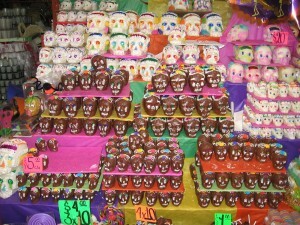 The origination of the sugar skull comes from the Mexican holiday, Dia de los Muertos (Day of the Dead), which is celebrated a total of 3 days on and following Halloween: on October 31sth, All Hallows Eve, children make alters for angelitos, or spirits of dead children, to visit. 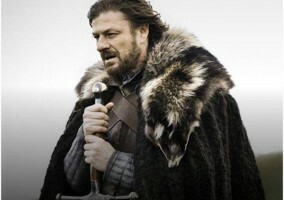 November 1st, or All Saints Day, is when adult spirits come to visit. Finally, on November 2nd, All Soul’s Day, families decorate gravestones of their relatives at cemeteries. This is meant to be a joyous holiday celebrating the lives of deceased relatives, and the skulls are used to decorate gravestones to help guide spirits back to earth. Sugar was actually used to make skulls originally because the churches could not afford to make decorations with other more expensive metals. 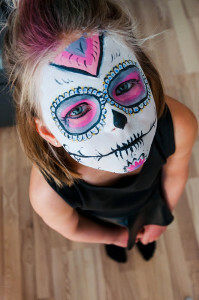 Sugar skulls are a great face painting idea for kids who like to go all out with their costumes — they can be as intricate and colorful as you want! They are also an easier alternative to buying a full costume, because all you need is a little bit of face paint or makeup, and one size fits all! 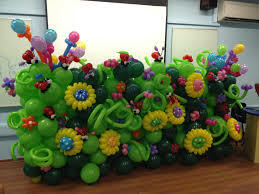 Here at Balloon Twisting CT, our goal is to make your next party or event as fun and entertaining possible. While balloon twisting by Dave and our team is great way to keep guests occupied, there also are plenty of things you can do with balloons that don’t require any skills or balloon twisting experience. 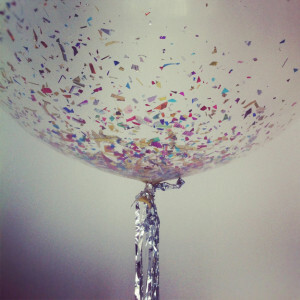 Check out these simple balloon hacks that will have your party popping (no pun intended) in no time! Finding your house: sometimes when headed to a party it is difficult to find the venue or entrance — not anymore! 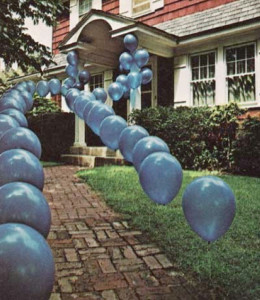 A pathway clearly marked by balloons will get rid of your guest’s worries about which house is the right one, or which door to enter, and is very simple to make. Are you on the hunt for a perfect table centerpiece? 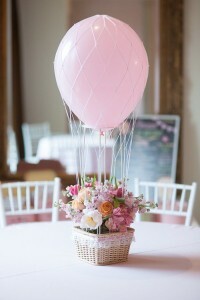 Don’t waste your money on fancy flower arrangements or vases — just use balloons instead! It will add a much more festive feel to your decor, and kids will love it. Keeping a large number of drinks cold for a long period of time requires a bit of planning (and also a towel when ice starts to melt!) Instead, fill several small balloons up with water and stick them in the freezer for balloon ice cubes! No more digging through a pool of half melted ice for a drink, not to mention it looks more fun than plain old ice. And why stop at just lollipops? 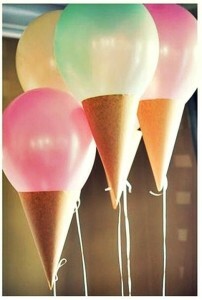 You can also make giant ice cream cones by simply attaching some extra party hats to your balloons. 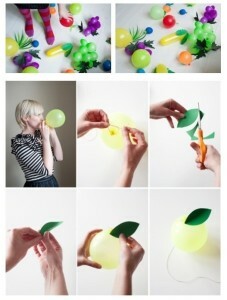 Or, if you’re not so into candy and ice cream, try making a balloon fruit bowl instead! Just blow up some balloons of various sizes and colors and attach green construction paper to them — a much healthier balloon-food alternative. If you’re throwing a New Year’s Eve party (or are just really attracted to shiny objects) try getting clear balloons and filling them with glitter and confetti. 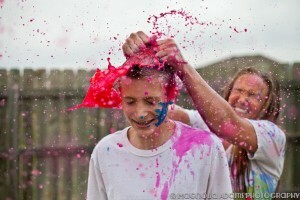 It gives you all the fun of glitter poppers with none of the clean up! But say you don’t mind getting your hands a little (or really) dirty: fill some balloons with paint and let your kids have a paint fight! Just make sure to tell your guests to wear old clothes that they won’t mind getting messy. And take lots of pictures! 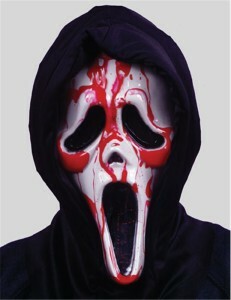 Last but certainly not least, if you’re throwing a Halloween party, you’re gonna wanna check this out. Put a glow stick in your balloons and fill them with water. Then stick them inside stockings and hang them from the ceiling. Turn off all the lights for super cool and spooky vibe. In our last blog post, we mentioned the idea of a balloon wedding dress – check it out here: http://www.balloontwistingct.com/9-times-balloons-blew-us-away/ But balloon twisted dresses don’t have to be just for weddings! We’ve seen some wild trends come and go in the world of fashion, and one of these trends includes balloon twisted dresses! In Japan, a place that is usually associated with traditional crafts such as origami and flower arrangements, balloon twisting has actually been on the rise in popularity. 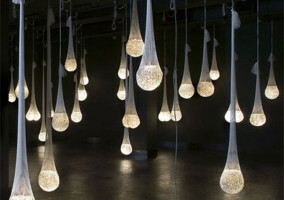 Some Japanese fashion designers have even incorporated balloon twisting into dresses, creating intricate works of art. 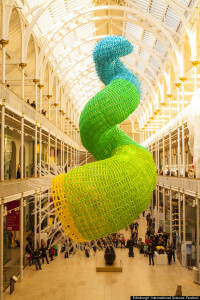 Additionally balloon twisting has been used to create kimonos, and other forms of art, such as balloon twisted sculptures as well. We all know Pop Art Balloon Twisters CT has some fabulous tricks up its sleeve when it comes to custom balloon animals, characters, flowers and (as well as with face painting and glitter tattoos). 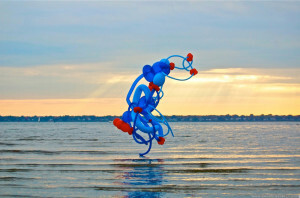 However, did you know how wild the world of balloon twisting can be? 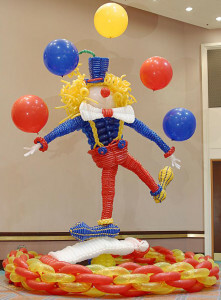 Some balloon artists actually go above and beyond the norm of what usually comes to mind when one thinks of “balloon twisting.” Maybe some examples here will inspire you for entertainment with your next kid’s birthday party, bar mitzvah, picnic, or any other fun event! 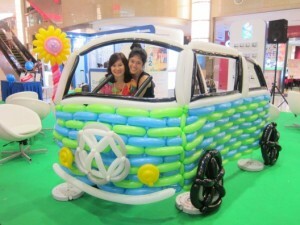 Looks like this balloon van takes the meaning of flat tire to a whole new level! 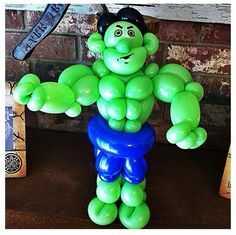 We checked: this balloon Hulk is still pretty incredible. 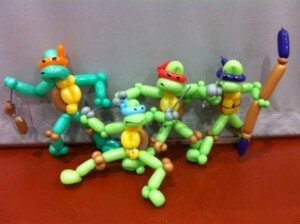 The show is called Teenage Mutant Ninja Balloons now, right? 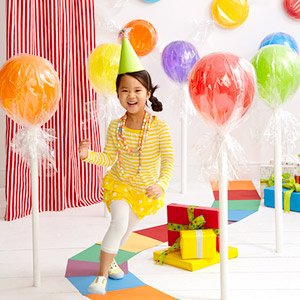 No need for a clown at your next birthday party– just more balloons! Perks of being a balloon flower – watering not necessary. who says a dress should be made of fabric? Typhon by becoming intertwined fish. Elmo’s world and we’re just living in it. We did Marybeth’s grand opening. What did she think of our balloon twisters? 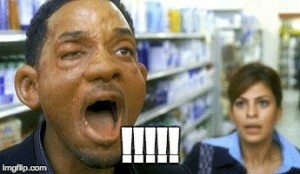 Hi David! I just wanted to give you a big thank-you for your amazing work! I’m sorry we didn’t get to chat at the opening, but my staff said all of our customers were raving about your balloons! Looking for a little extra POW in your next party or entertainment event? MEET POP ART! 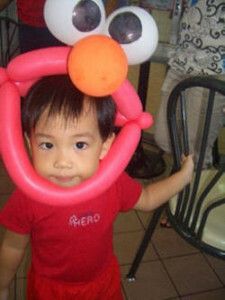 Providing awesome balloon twisting and face painting in CT and Southern MA, Pop Art is entertainment for all ages.